When I arrived home the other day, I was not entirely greeted with open arms from my backyard feathered friends. 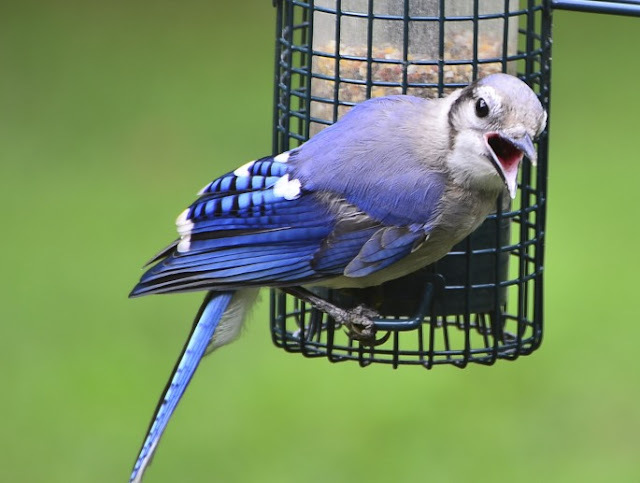 Bobbie Bluejay: We all know about your little adventure down in Florida. All that blah blah blogging. Being all ga ga over those Florida birds. You know ..... us Pennsylvania birds are pretty special too. Catbird Cate: That's right ... we have some special talents, you know. Can any of them mew like a cat? Ronnie Red-bellied Woodpecker: Or any of them have a Don Trump flowing red mane like mine? Fred Finch: Forget his flowing mane ... look at my brilliance! Can those Florida birds match my cheerfulness? They all look mean and grumpy to me. Pope Cardinal Jr: Finch, you got nothin' on me ... in a few months, my cheery redness is going to blow you out of the birdcage! 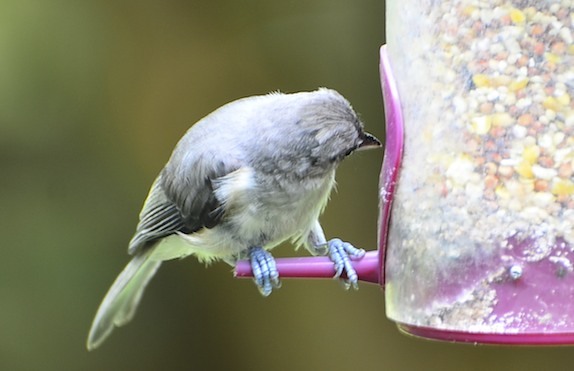 Tommy Titmouse: And how about feet? Got any Florida goofballs who can top these blue-grey lovelies? 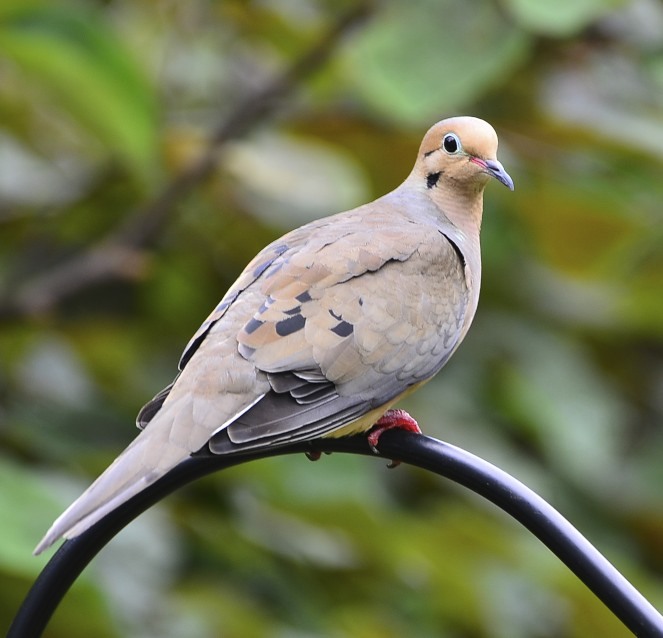 Deary Dove: Or even my pink-red tootsies? Freddie Finch: They all got nothing on me ... look at my sunshine brilliance. Even in that Florida sunshine, betcha you didn't see anything like this on those Florida birds! Harriet Hairy Woodpecker: Also, do your Florida birds make sure your trees are bug safe? I don't tthhiinnkkkkkkk so ... all they do is eat fish all day long. 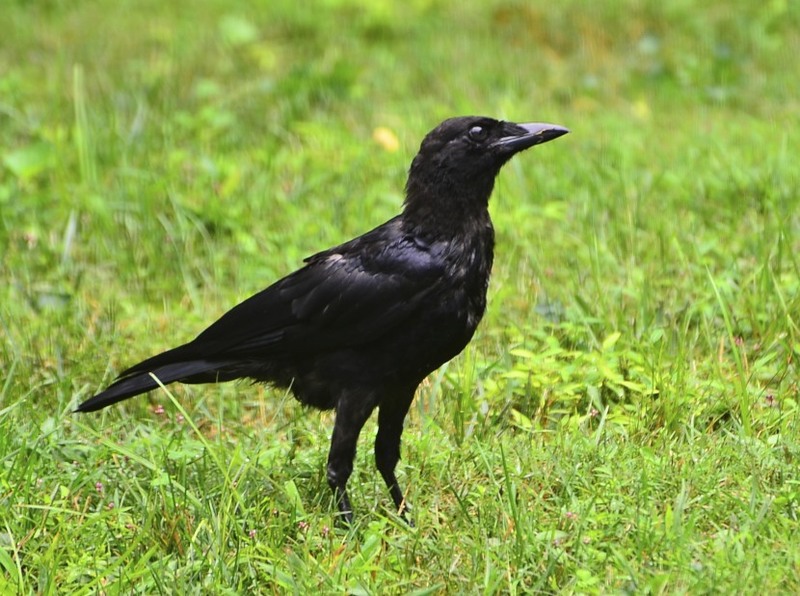 Conner Crow: I'd challenge any of those Florida beach birds to an intelligence test ... I'd beat 'em every time! Stanley Starling: And look at this ... look ... is that not the most gorgeous wing you've ever seen? Young Stella Starling: Oh, quit showing off! 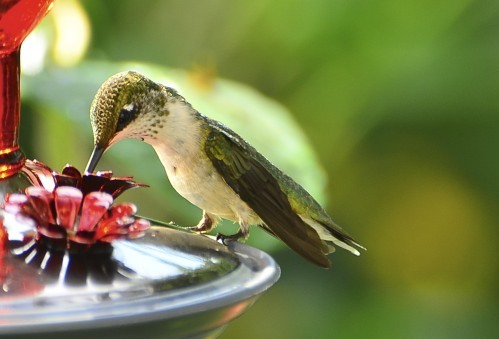 Hilly Hummingbird: .... I mean .... I came and sat in your hand! In your hand! Doesn't that count for anything? Did any of those Florida yahoos do that? 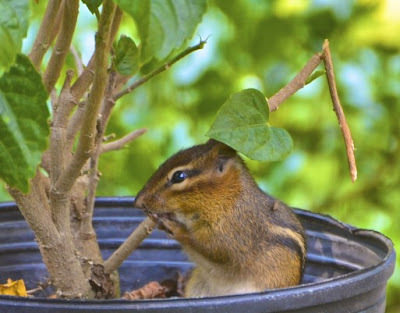 Carmen Chipmunk: Oh, House Lady .... I think you have a lot of making up to do! Moral of the Story: Be careful what you blog about, you never know who reads it. LOL! too funny! thanks for the laughs and all the gorgeous PA birds!!! Thanks for the giggles. I'm so envious of the hummer in your hand! Wonderful! Cute little story. And I can't believe you got a hummingbird to sit in your hand. While you took its picture no less! Do you have some special powers we don't know about you yet? Oh my gosh...such beautiful little birds. I saw a dead bird on the way to the gym...wasn't nearly as pretty. These are much better. I have only two words to say: Just beautiful. Well, I guess they told you! They have a point because they certainly are a bunch of stunners. LOL! Hilly's bird envy cracked me UP! Love the range of characters you bring to blog land. 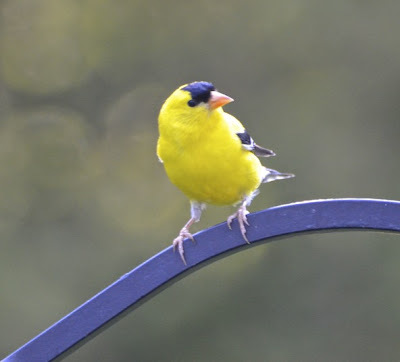 I always thought bird watching was lame until I moved to Connecticut and got bowled over by the different ones that would visit us there. Now in Virginia I'm constantly entertained by their different personalities and antics. Ms. R you have some very cheeky backyard visitors. I bet if I came up there Kramer and I could whip them in to shape ASAP. Reena you crack me up!! You have each critter pegged perfectly. What wonderful pictures!!! One of your feeders is just like ours, is it the SquirrelBuster? That picture of the dove makes it look even prettier than they really are! 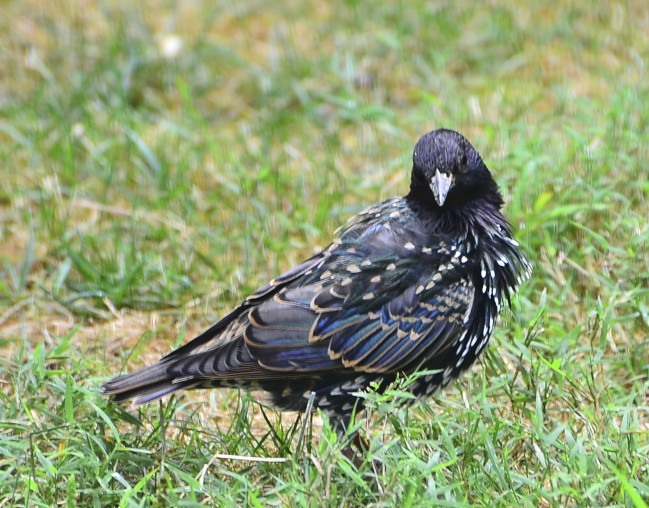 And I don't know how you captured the starling like that, he really looks beautiful, usually they are not! the hand picture is amazing!!! What a great variety you have!! Wow...and I thought I was a bird lady! Loved all these photos and the great captions...al so true. Fantastic photos! I can't believe you had a hummingbird sit in your hand! and love your comment about being careful what you blog about . . . This is truly the most delightful 'journey' through your blog post!! How in the heck did you capture those fabulous images, anyway? And your captions are perfect. wow, he sat in your hand....that is incredible. great photos!! A fabulous collection of bird shots! You must have so much patience to capture these! Once again! Another FABULOUS blog found via Daryl. She's so wonderful. You're wonderful, too, renna. So wonderful, in fact, that I have taking to stalking you. Your blog that is. Bird post is marvelous. Cheers!! 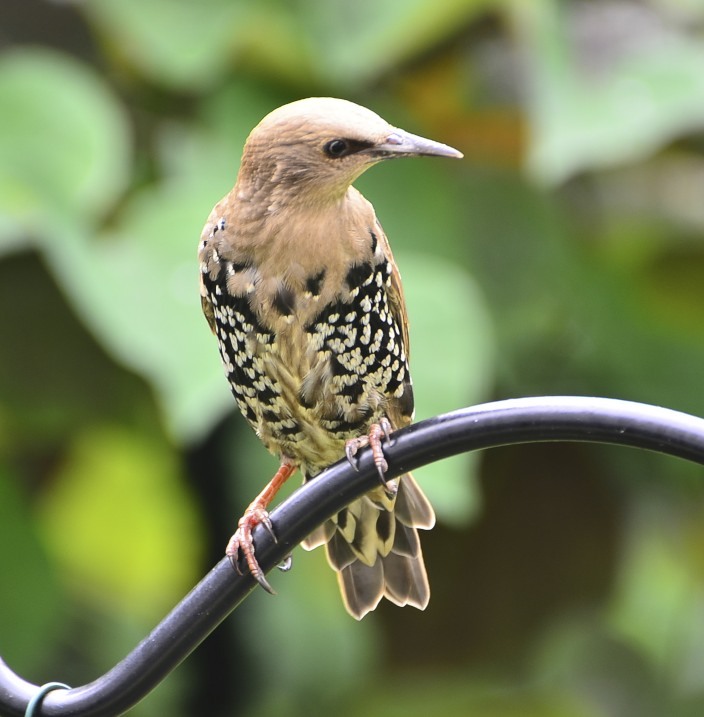 You have an astounding array of birds visiting your yard. Wow! Those are all great photos with a couple of stunners in there. The hummer eating out of your hand though you could have held back from us instead of flaunting it in our faces. ;) Is my jealousy showing? Some mighty cool shots Reena! Love the Blue Jay!! 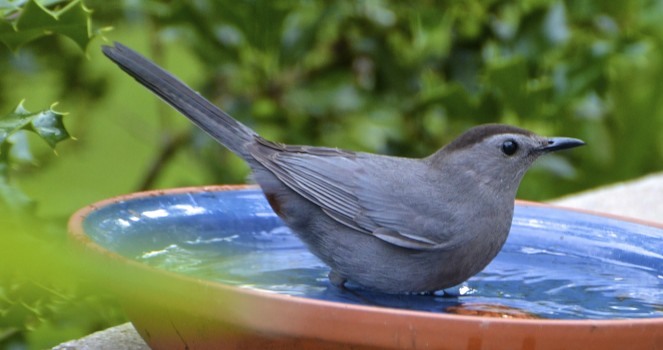 How wonderful to have so many types of birds in the backyard. They're just beautiful. hahaha....these captions are great!! how does one think of these "silly" things!?! your backyard looks like mine, we get the same variety here!! lot's of fun here today and everyday!!! I love these photos. You need to check out Wildbirds-I get the magazine. They have photo contests. They are no better than these. You need to submit! Hahaha...I love it! Your shots are awesome! Gorgeously done. You have so many lovely bird friends! You have a fantastic neighborhood of birds ... great shots! How do you do it? Are there that many birds in your yard? And your birds are ever so much smarter than ours here -- ours only chirp and peep. Fun post! WOW!! These are absolutely brilliant shots. Bobbie blue jay and the hummingbird on your palm are my favorites!! Oh, how I'd love to have so tiny beauties feeding off my palm! 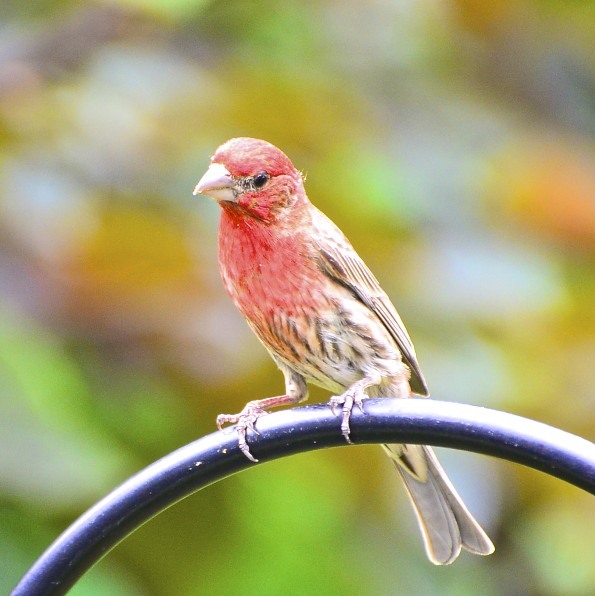 Is Fred Finch, the Cassin's finch? Whenever I go out for a hike, I take photos and then google and try to match the images with what I saw. This is the only way I can get the birds names! It's a bit tedious and not always foolproof but it's fun! Great job! Loved it! I live in Florida 9 months out of the year and am enamored with the wildlife there. You have given me a new appreciation for my northern friends! Awesome! So many different birds you have, they are all so beautiful, but the hummingbird is really amazing!! What coloring in that Jay! All of those in your backyard?1 Wow... loved all of them. Amazed that the hummingbird will rest in your hand like that! I've been trying all day to get a picture of a hummingbird--But I know when I do, it won't be nearly as amazing as yours!! Haha! You are positively crazy! How do you manage to shoot so many birds! I adore them all really and wish we had so many colorful species in Norway too! 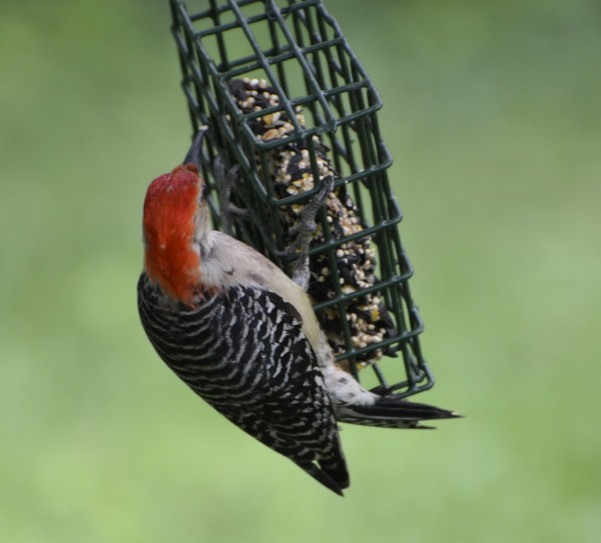 The Red-bellied Woodpecker reminds me of Woody Woodpecker. 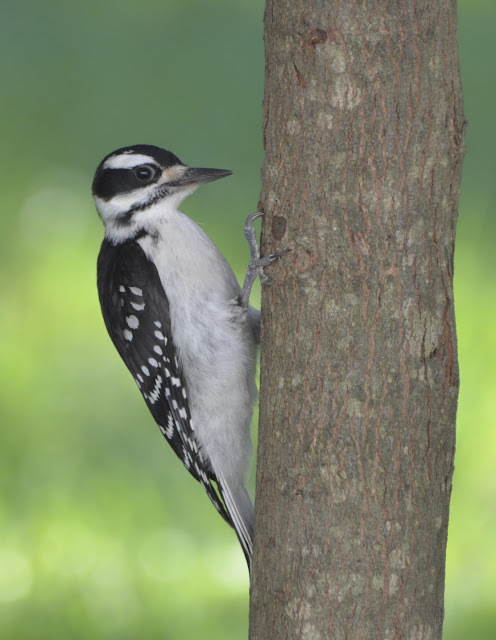 Growing up I believed that was the only way woodpeckers might look. They all are so beautiful...and I cannot believe the hand shot! You have to admit ~ all the critters in your back yard makes for a very lovely blog post. No need to go anywhere else! wow, what a menagerie! the hand shot is just incredible. Love this post! And what wonderful captures! The Don Trump "flowing mane"? LOL!! 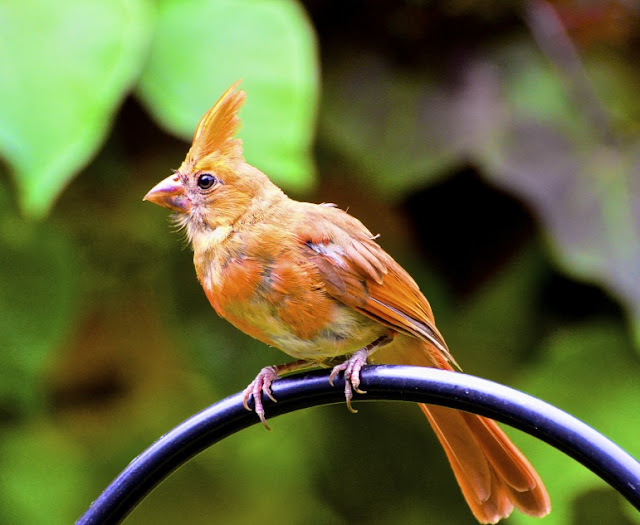 Reena, wonderful variety of birds and photos. I love the hummer shot, very cool. Awesome photos and post. Wow, I am in awe, you get such great shots! 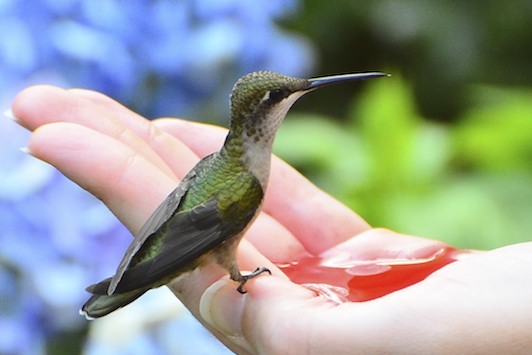 How long did it take to get the hummingbird to land in your hand? So cool! You certainly are THE bird lady! Fantastic captures! !